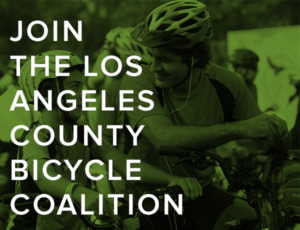 Don't forget Tuesday's all-day LACBC fundraiser and party at the Library Alehouse. In a bizarre case, police shot and killed an armed man riding a bike near the Jordan Downs Housing Project in Watts on Christmas morning. According to the L.A. Times, LAPD officers responded to a report of an assault by someone armed with a rifle around 4 am. While they were talking with the occupants of an SUV, a man holding an assault rifle rode his bike towards the officers. They shot him when he refused their commands to drop the gun; the rider, described only as a man in his 20s, was pronounced dead at a nearby hospital. As others note, there seems to be more to the story than what has been reported. Why the man would ride towards the police or refuse to drop the weapon have not been explained. And oddly, none of the news reports indicate whether the rider was wearing a helmet. Once again, a heavy-handed police crackdown as the Long Beach police go out of their way to undo the city’s reputation for being bike friendly. Bicycle Fixation’s Rick Risemberg — not exactly a hotheaded radical — calls it goonsquad tactics. Maybe the next L.A. Critical Mass should hop the Blue Line for a quick trip south. I’ve long argued that there’s no such thing as a vehicular accident, since collisions invariably involve one or more people breaking the law or operating their vehicles in an unsafe manner; turns out, the DMV agrees. And on the subject of breaking traffic laws, Will Campbell says the way some cyclists run red lights is a sign of pathological tendencies. Unfortunately, I can’t disagree; red light running has gotten completely out of hand lately. It seems like most riders I see riding in the bike lanes on Santa Monica Blvd go through the lights — even when it means riding through traffic on cross streets. So for anyone unclear on the concept, bikes are legally required to stop at all red lights, just like cars are. And yes, you can — and probably should — get a ticket for it. Damien Newton unveils the first of this year’s Streetsie Awards and gives you a chance to vote on your own choices; you’ll find my name there among some very good company, for which I am both honored and humbled. Celebrate New Years Eve eve with the intersection of bikes and poetry on the final Spokes and Words ride of the year. Richard Risemberg confronts a reincarnating pothole. The OC Bike Coalition points out the kind of road work fencing that should never be used. 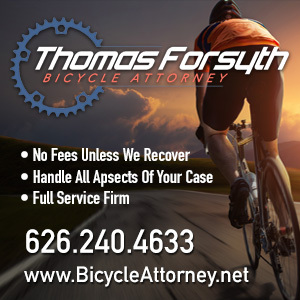 A San Diego cyclist is injured after hitting road debris. A Santa Rosa pro takes a life-changing trip to Africa to ride with Team Rwanda. 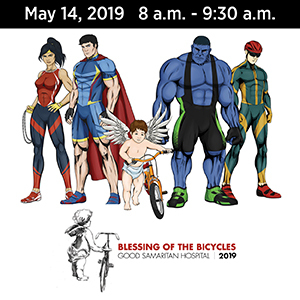 The 1,000 mile Remember the Removal bike tour follows the route of the infamous Trail of Tears, when the Cherokee Nation was forcibly and shamefully removed from their traditional lands. TreeHugger calls for bike-only boulevards. The best and worst of American bike racing in 2010. Lance’s Team RadioShack just got a lot faster. GOP strategist and George W. Bush buddy Karl Rove writes about the Ride 2 Recovery program for wounded vets; Hell has officially frozen over when I find myself agreeing with him on just about anything. EcoVelo reminisces on a lifelong love affair with bikes. Tacoma WA tells motorists to drive nice. Proof that bikes and cars can co-exist — a bike-based headlight service in the Motor City. New York doctors ask for improvements in bike infrastructure, which could do a lot more to prevent injuries than putting a helmet on every head. Just four months after saving the life of a motorist, an artist is paralyzed after getting hit by a truck riding at the same spot. Are 29 inch wheels the future of mountain biking? Four years for a UK driver who killed a cyclist while stoned. A road rage driver has a three-year ban on driving overturned because his assault on a cyclist occurred after he left his vehicle; yeah, that’s exactly the kind of person we want on the road. Note to the Daily Mail — since when did a Segway become a bike? A medal-wining Dutch Paralympian faces disqualification from the 2012 games as she unexpectedly regains use of her legs. Finally, the UK’s Guardian says you’re a sissy if you don’t ride in the snow like those darn Danes, or give blood for that matter. Clearly, there are people in this country who couldn’t agree more. About the snow, anyway. Although the other one is a good life-saving habit to develop, as well. I stopped counting after donating somewhere north of six gallons. Congratulations on the Streetsie Award! 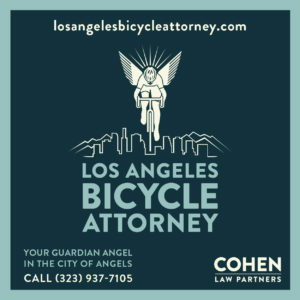 It is excellent recognition of your impact on the local cycling scene. What many folk may not realize is how much wider your influence is on a national level!